and a little something just for you! 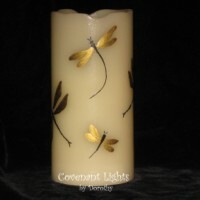 Personalized hand painted memorial candles are my specialty! for you and your loved ones soon. 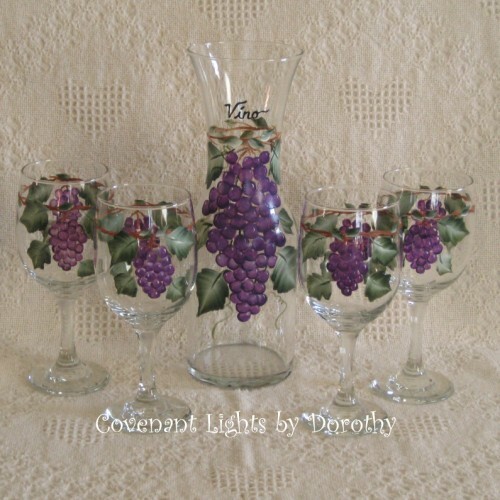 Personalized one-of-a-kind gifts are so fun to give. 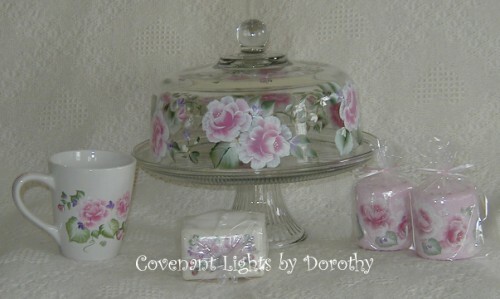 Check out my personalized cake pans, wedding candles, coffee mugs, and wedding trays for unique gifts that will certainly stand out from the rest. Samples of some of my creations. Click on pictures to see more. 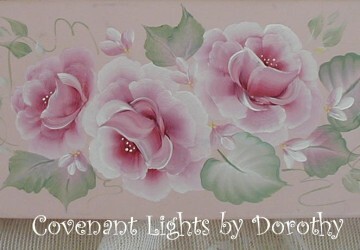 I offer a variety of hand painted treasures. 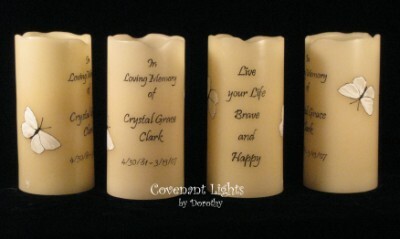 Personalized FLAMELESS Memorial candles are a wonderful way to remember your loved ones. "GREAT communication from start to finish. 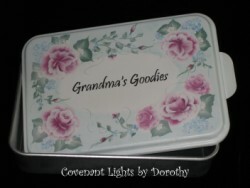 "I love doing business with Covenant Lights. I know your time is valuable and appreciate your visit! You can use either your PayPal account or your credit card. MN residents sales tax will be added.